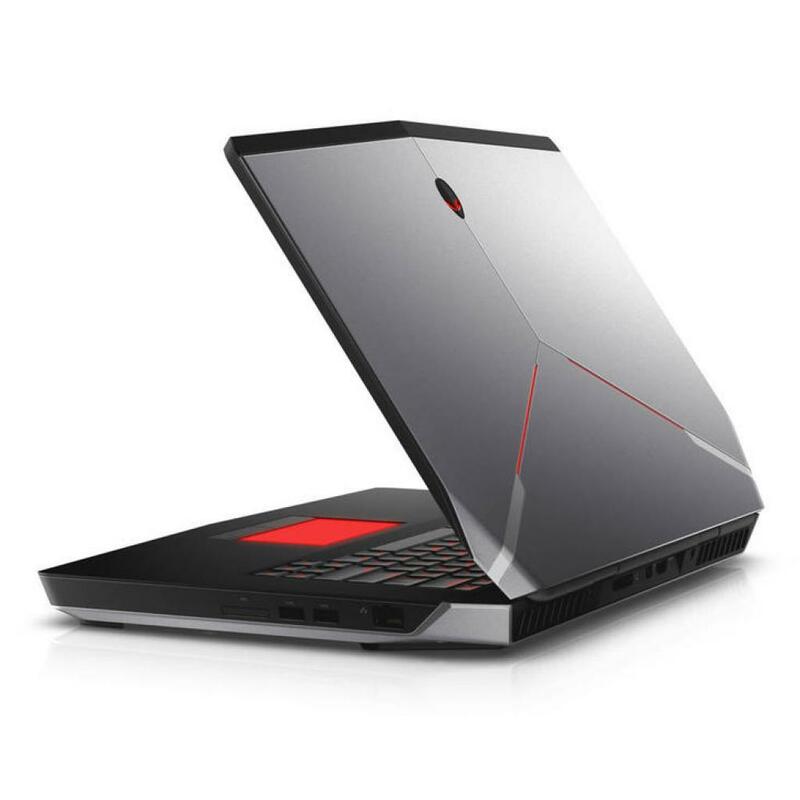 A57321DDSW-46 Ноутбук Dell Alienware 15 (A57321DDSW-46) 15.6', FullHD (1920 х 1080), IPS, Intel Core i7 6700HQ (2.6 - 3.5 ГГц), 32 ГБ, 1 ТБ, 256 ГБ, NVIDIA GeForce GTX 980M, 8 ГБ, No ODD, Bluetooth, Wi-Fi, LAN (RJ-45), Windows 10, 8 cell, 3.2 кг, Grey 12 мес. 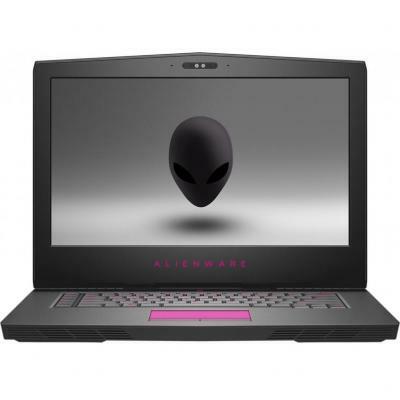 A57161S2DW-70 Ноутбук Dell Alienware 15 R3 (A57161S2DW-70) 15.6', FullHD (1920 х 1080), Intel Core i7-7700HQ (2.8 - 3.8 ГГц), 16 ГБ, 1 ТБ, 256 ГБ, NVIDIA Geforce GTX 1070, 8 ГБ, No ODD, Bluetooth, Wi-Fi, LAN (RJ-45), Windows 10 Home 64bit, 3.5 кг, Black 12 мес. N012L739013_W10 Ноутбук Dell Latitude 7390 (N012L739013_W10) 13.3', FullHD (1920 х 1080), Intel Core i7 8650U (до 4.2 ГГц), 16 ГБ, отсутствует, 512 ГБ, Intel UHD Graphics 620, No ODD, Bluetooth, Wi-Fi, Windows 10 Pro, 4 cell, 1.4 кг, Black 12 мес. X5716S3NDW-60S Ноутбук Dell XPS 15 (X5716S3NDW-60S) 15.6', 4К (3840x2160), Intel Core i7-7700HQ (2.8 - 3.8 ГГц), 16 ГБ, отсутствует, 512 ГБ, NVIDIA GeForce GTX 1050, 4 ГБ, No ODD, Bluetooth, Wi-Fi, Windows 10 Home-HE 64bit Ukrainian, 6 cell, 1.78 кг, Silv 12 мес. 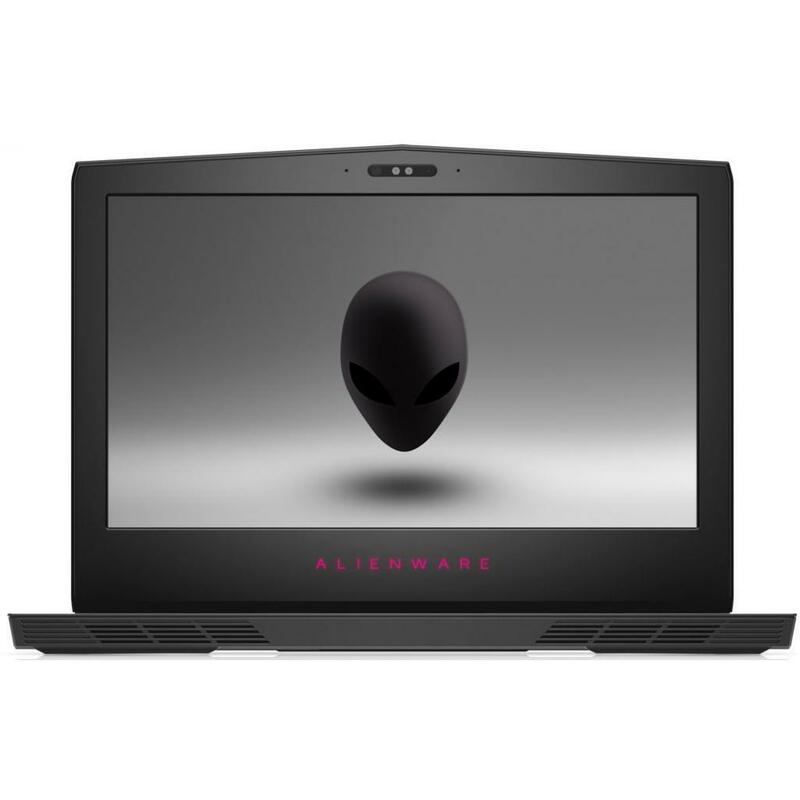 A571610S1NDW-51 Ноутбук Dell Alienware 15 (A571610S1NDW-51) 15.6', FullHD (1920 х 1080), IPS, Intel Core i7 6700HQ (2.6 - 3.5 ГГц), 16 ГБ, 1 ТБ, 256 ГБ, NVIDIA Geforce GTX 1070, 8 ГБ, No ODD, Bluetooth, Wi-Fi, Gigabit Ethernet, Windows 10 Home, 3.5 кг, Bl 12 мес. X5T716S3DW-418 Ноутбук Dell XPS 15 (X5T716S3DW-418) 15.6', 4К (3840x2160), Intel Core i7-7700HQ (2.8 - 3.8 ГГц), 16 ГБ, отсутствует, 512 ГБ, NVIDIA GeForce GTX 1050, 4 ГБ, No ODD, Bluetooth, Wi-Fi, LAN (RJ-45), Windows 10, 3 cell, 1.8 кг, Silver 12 мес. 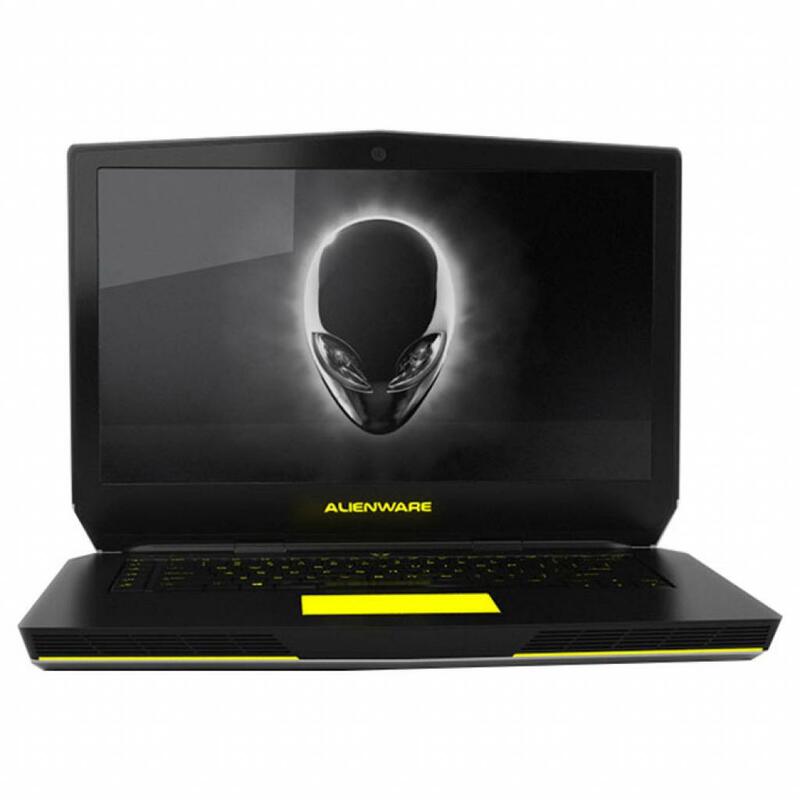 A57161DDW-46 Ноутбук Dell Alienware 15 (A57161DDW-46) 15.6', FullHD (1920 х 1080), IPS, Intel Core i7 6700HQ (2.6 - 3.5 ГГц), 16 ГБ, 1 ТБ, 128 ГБ, NVIDIA GeForce GTX 970M, 3 ГБ, No ODD, Bluetooth, Wi-Fi, Gigabit Ethernet, Windows 10 Home, 8 cell, 3.2 кг, 12 мес. X3716S3NIW-63S Ноутбук Dell XPS 13 (9370) (X3716S3NIW-63S) 13.3', 4К (3840x2160), Intel Core i7 8550U (1.8 - 4.0 ГГц), 16 ГБ, отсутствует, 512 ГБ, Intel UHD Graphics 620, No ODD, Bluetooth, Wi-Fi, Windows 10 Home-HE 64bit Ukrainian, 1.2 кг, Silver 12 мес. 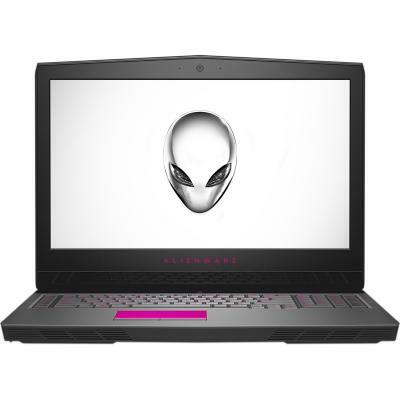 A55161S3DW-418 Ноутбук Dell Alienware 15 R3 (A55161S3DW-418) 15.6', FullHD (1920 х 1080), IPS, Intel Core i5-7300HQ (2.5-3.5GHz), 16 ГБ, 1 ТБ, 512 ГБ, NVIDIA Geforce GTX 1060, 6 ГБ, н.д., Bluetooth, Wi-Fi, Killer Gb LAN, Windows 10 Home 64bit, 3.5 кг, Bla 12 мес. 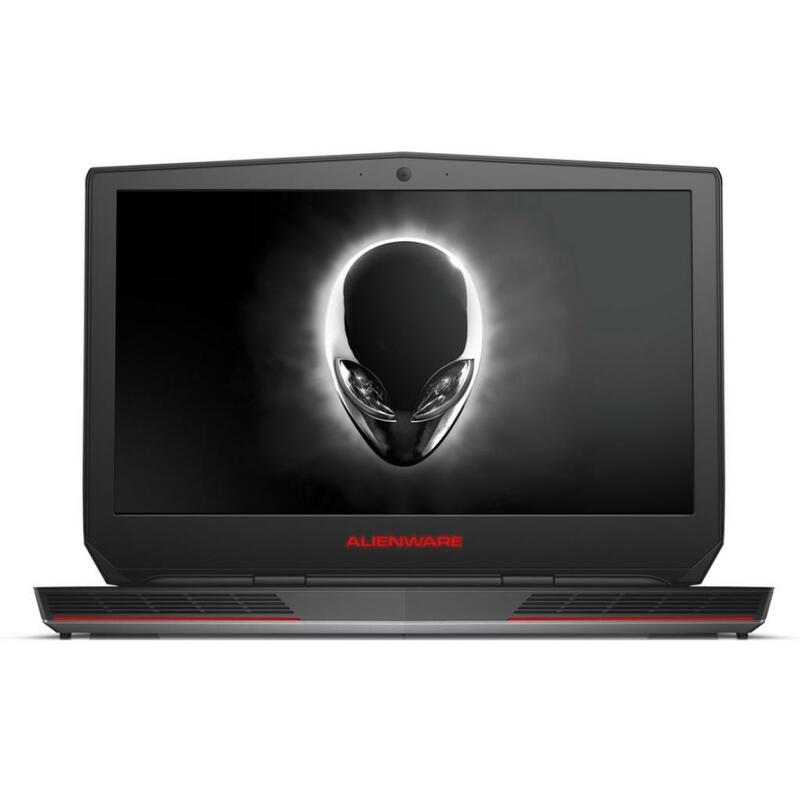 A5F7161SDDSW-R3 Ноутбук Dell Alienware 15 (A5F7161SDDSW-R3) 15.6', FullHD (1920 х 1080), IPS, Intel Core i7 6700HQ (2.6 - 3.5 ГГц), 16 ГБ, 1 ТБ, 256 ГБ, NVIDIA Geforce GTX 1060, 6 ГБ, No ODD, Bluetooth, Wi-Fi, Gigabit Ethernet, Windows 10 Home, 6 cell, 3. 12 мес. 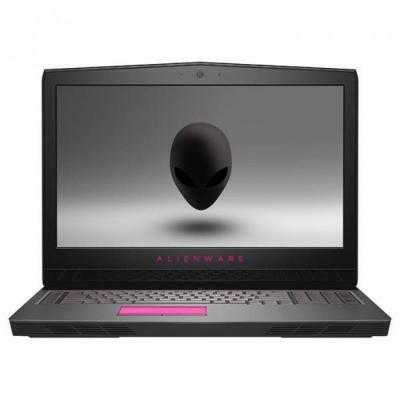 A57161S2DW-418 Ноутбук Dell Alienware 15 R3 (A57161S2DW-418) 15.6', FullHD (1920 х 1080), Intel Core i7-7700HQ (2.8 - 3.8 ГГц), 16 ГБ, 1 ТБ, 256 ГБ, NVIDIA Geforce GTX 1060, 6 ГБ, No ODD, Bluetooth, Wi-Fi, LAN (RJ-45), Windows 10, 3.5 кг, Black 12 мес. X3TU716S3W-119 Ноутбук Dell XPS 13 (9370) (X3TU716S3W-119) 13.3', 4К (3840x2160), Intel Core i7 8550U (1.8 - 4.0 ГГц), 16 ГБ, отсутствует, 512 ГБ, Intel UHD Graphics 620, No ODD, Bluetooth, Wi-Fi, Windows 10, 1.2 кг, Silver 12 мес. A571610S2NDW-60 Ноутбук Dell Alienware 15 (A571610S2NDW-60) 15.6', FullHD (1920 х 1080), IPS, Intel Core i7 6700HQ (2.6 - 3.5 ГГц), 16 ГБ, 1 ТБ, 128 ГБ, NVIDIA Geforce GTX 1060, 6 ГБ, No ODD, Bluetooth, Wi-Fi, Killer Gb LAN, Windows 10 Home High End 64bit 12 мес. X5716S3NDW-63S Ноутбук Dell XPS 15 (X5716S3NDW-63S) 15.6', FullHD (1920 х 1080), Intel Core i7-7700HQ (2.8 - 3.8 ГГц), 16 ГБ, отсутствует, 512 ГБ, NVIDIA GeForce GTX 1050, 4 ГБ, No ODD, Bluetooth, Wi-Fi, Windows 10 Home-HE 64bit Ukrainian, 6 cell, 1.78 кг 12 мес. X558S2NDW-60S Ноутбук Dell XPS 15 (X558S2NDW-60S) 15.6', 4К (3840x2160), Intel Core i5-7300HQ, 8 ГБ, отсутствует, 256 ГБ, NVIDIA GeForce GTX 1050, 4 ГБ, No ODD, Bluetooth, Wi-Fi, Windows 10 Home-HE 64bit Ukrainian, 3 cell, 1.78 кг, Silver 12 мес. 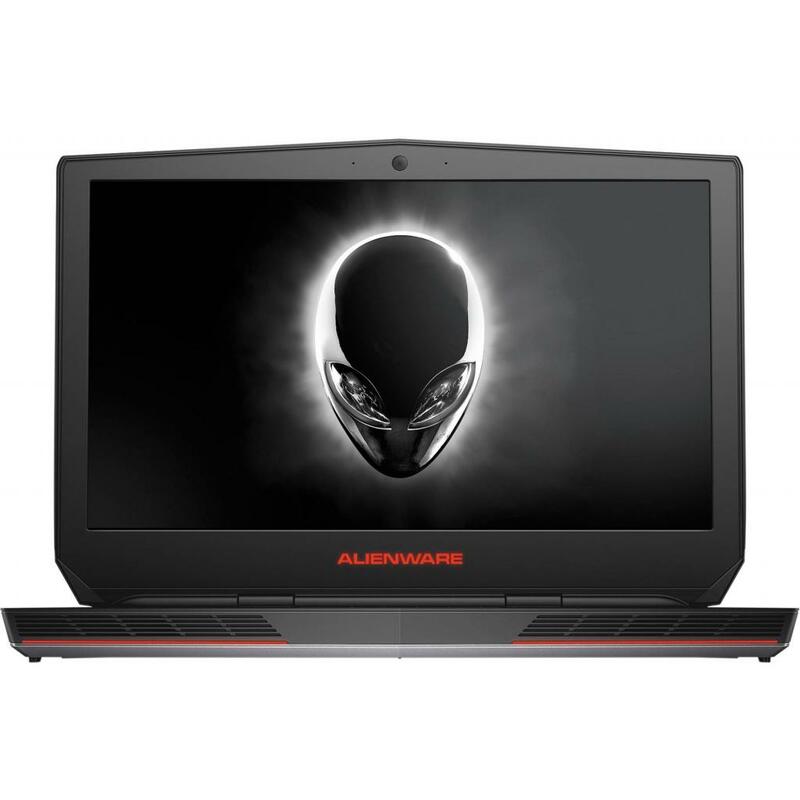 A5781S1DW-418 Ноутбук Dell Alienware 15 (A5781S1DW-418) 15.6', FullHD (1920 х 1080), Intel Core i7-7700HQ (2.8 - 3.8 ГГц), 8 ГБ, 1 ТБ, 128 ГБ, NVIDIA Geforce GTX 1060, 6 ГБ, No ODD, Bluetooth, Wi-Fi, LAN (RJ-45), Windows 10, 3.5 кг, Black 12 мес. 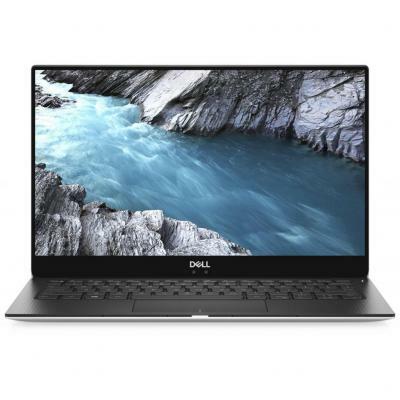 X3716S3NIW-65 Ноутбук Dell XPS 13 (9365) (X3716S3NIW-65) 13.3', QHD (3200x1800), Intel Core i7-7Y75 (1.3-3.6GHz), 16 ГБ, отсутствует, 512 ГБ, Intel HD Graphics 615, No ODD, Bluetooth, Wi-Fi, Windows 10 Home 64bit Ukranian, 4 cell, 1.25 кг, Silver 12 мес. N025L739013_W10 Ноутбук Dell Latitude 7390 (N025L739013_W10) 13.3', FullHD (1920 х 1080), Intel Core i7 8650U (до 4.2 ГГц), 16 ГБ, отсутствует, 512 ГБ, Intel UHD Graphics 620, No ODD, Bluetooth, Wi-Fi, LAN (RJ-45), Windows 10 Pro, 4 cell, 1.2 кг, Black 12 мес. X3716S3NIW-60S Ноутбук Dell XPS 13 (X3716S3NIW-60S) 13.3', QHD (3200x1800), Intel Core i7-7500U (2.7-3.5GHz), 16 ГБ, отсутствует, 512 ГБ, Intel HD, No ODD, Bluetooth, Wi-Fi, Windows 10 Home-HE 64bit Ukrainian, 4 cell, 1.2 кг, Silver 12 мес. 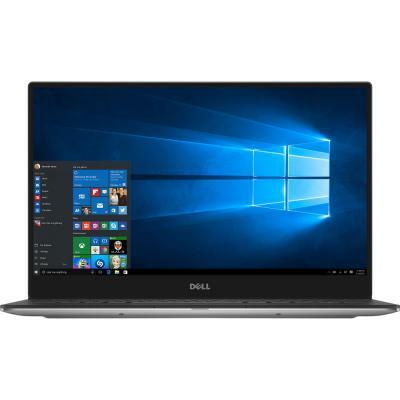 X5716S3DW-418 Ноутбук Dell XPS 15 (X5716S3DW-418) 15.6', FullHD (1920 х 1080), Intel Core i7-7700HQ (2.8 - 3.8 ГГц), 16 ГБ, отсутствует, 512 ГБ, NVIDIA GeForce GTX 1050, 4 ГБ, No ODD, Bluetooth, Wi-Fi, LAN (RJ-45), Windows 10, 3 cell, 1.8 кг, Silver 12 мес. X378S2NIW-70S Ноутбук Dell XPS 13 (9370) (X378S2NIW-70S) 13.3', 4К (3840x2160), Intel Core i7 8550U (1.8 - 4.0 ГГц), 8 ГБ, отсутствует, 256 ГБ, Intel UHD Graphics 620, No ODD, Bluetooth, Wi-Fi, Windows 10 Home-HE 64bit Ukrainian, 1.2 кг, Silver 12 мес. 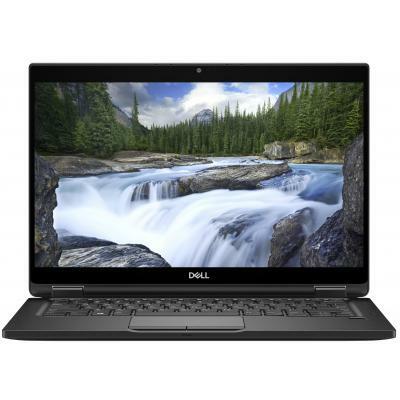 N025L739013EMEA_P Ноутбук Dell Latitude 7390 (N025L739013EMEA_P) 13.3', FullHD (1920 х 1080), Intel Core i7 8650U (до 4.2 ГГц), 16 ГБ, отсутствует, 512 ГБ, Intel UHD Graphics 620, No ODD, Bluetooth, Wi-Fi, Windows 10 Pro, 1.2 кг, Black 12 мес. X3R78S3W-418 Ноутбук Dell XPS 13 (9365) (X3R78S3W-418) 13.3', QHD (3200x1800), Intel Core i7-7Y75 (1.3-3.6GHz), 16 ГБ, отсутствует, 512 ГБ, Intel HD Graphics 615, No ODD, Bluetooth, Wi-Fi, Windows 10, 4 cell, 1.24 кг, Silver 12 мес. X5581S0NDW-46S Ноутбук Dell XPS 15 (X5581S0NDW-46S) 15.6', FullHD (1920 х 1080), IGZO, Intel Core i5 6300HQ (2.3 ГГц), 8 ГБ, 1 ТБ, 32 ГБ, NVIDIA GeForce GTX 960M, 2 ГБ, No ODD, Bluetooth, Wi-Fi, Windows 10 Home, 3 cell, 1.8 кг, Silver 12 мес. N025L739013_UBU Ноутбук Dell Latitude 7390 (N025L739013_UBU) 13.3', FullHD (1920 х 1080), Intel Core i7 8650U (до 4.2 ГГц), 16 ГБ, отсутствует, 512 ГБ, Intel UHD Graphics 620, No ODD, Bluetooth, Wi-Fi, LAN (RJ-45), Linux, 4 cell, 1.2 кг, Black 12 мес. N06L528912_W10 Ноутбук Dell Latitude 5289 (N06L528912_W10) 12.5', FullHD (1920 х 1080), Intel Core i7-7600U (2.80-3.90 GHz), 16 ГБ, отсутствует, 256 ГБ, Intel HD Graphics, No ODD, Bluetooth, NFC, Wi-Fi, Windows 10 Pro 64bit, 3 cell, 1.3 кг, Black 12 мес. 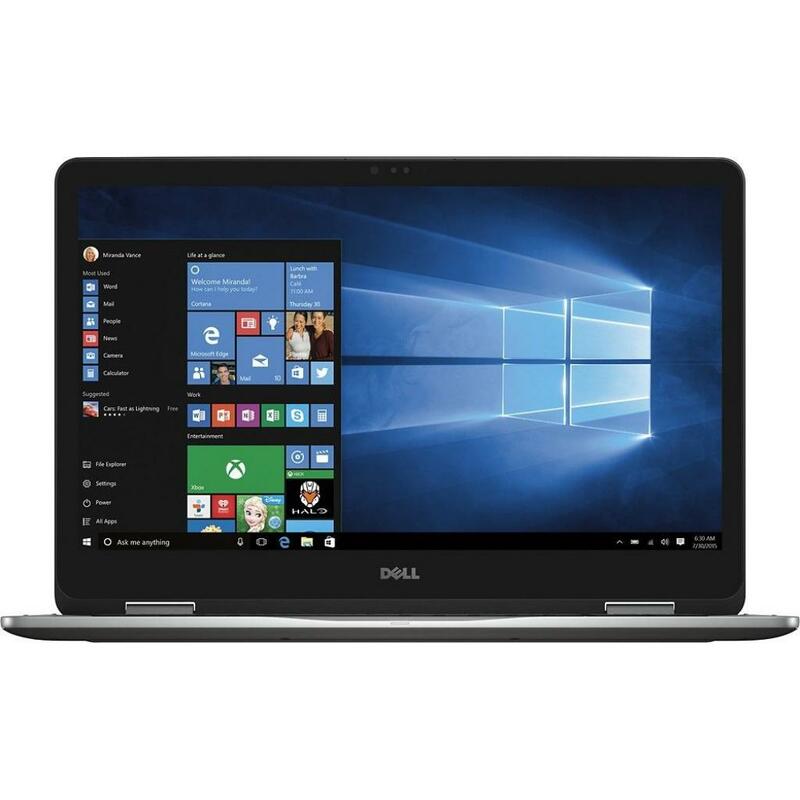 I757161S3DW-418 Ноутбук Dell Inspiron 7577 (I757161S3DW-418) 15.6', 4К (3840x2160), IPS, Intel Core i7-7700HQ (2.8 - 3.8 ГГц), 16 ГБ, 1 ТБ, 512 ГБ, NVIDIA Geforce GTX 1060, 6 ГБ, No ODD, Bluetooth, Wi-Fi, LAN (RJ-45), Windows 10 Home-HE 64bit Ukrainian, 4 12 мес. X3TU78S2W-119 Ноутбук Dell XPS 13 (9370) (X3TU78S2W-119) 13.3', 4К (3840x2160), Intel Core i7 8550U (1.8 - 4.0 ГГц), 8 ГБ, отсутствует, 256 ГБ, Intel UHD Graphics 620, No ODD, Bluetooth, Wi-Fi, Windows 10, 1.2 кг, Silver 12 мес. 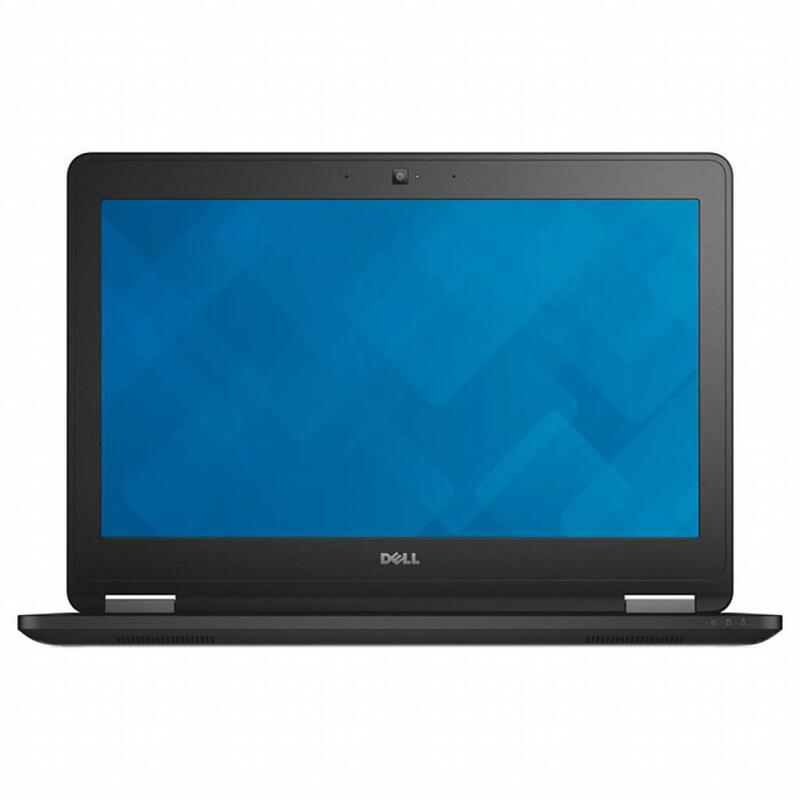 N003L738013_W10 Ноутбук Dell Latitude 7380 (N003L738013_W10) 13.3', FullHD (1920 х 1080), Intel Core i7-7600U (2.80-3.90 GHz), 16 ГБ, отсутствует, 256 ГБ, Intel HD Graphics 620, No ODD, Bluetooth, Wi-Fi, LAN (RJ-45), Windows 10 Pro 64bit Russian, 4 cell, 12 мес. N020L748014_DOS Ноутбук Dell Latitude 7480 (N020L748014_DOS) 14', FullHD (1920 х 1080), Intel Core i7-7600U (2.80-3.90 GHz), 16 ГБ, отсутствует, 512 ГБ, Intel HD Graphics 620, No ODD, Bluetooth, Wi-Fi, LAN (RJ-45), DOS, 4 cell, 1.36 кг, Black 12 мес. X378S2NIW-63S Ноутбук Dell XPS 13 (9370) (X378S2NIW-63S) 13.3', FullHD (1920 х 1080), Intel Core i7 8550U (1.8 - 4.0 ГГц), 8 ГБ, отсутствует, 256 ГБ, Intel UHD Graphics 620, No ODD, Bluetooth, Wi-Fi, Windows 10 Home-HE 64bit Ukrainian, 1.2 кг, Silver 12 мес. N019L728012_W10 Ноутбук Dell Latitude 7280 (N019L728012_W10) 12.5', FullHD (1920 х 1080), Intel Core i7-7600U (2.80-3.90 GHz), 16 ГБ, отсутствует, 256 ГБ, Intel HD Graphics 620, No ODD, Bluetooth, Wi-Fi, LAN (RJ-45), Windows 10 Pro, 4 cell, 1.2 кг, Black 12 мес. dino1801_5103_ple_r Ноутбук Dell XPS 13 (dino1801_5103_ple_r) 13.3', FullHD (1920 х 1080), IPS, Intel Core i5-7300U (2.60Gz), 8 ГБ, отсутствует, 256 ГБ, Intel HD Graphics 620, No ODD, Bluetooth, Wi-Fi, Windows 10 Pro 64bit, 4 cell, 1.2 кг, Grey 12 мес. 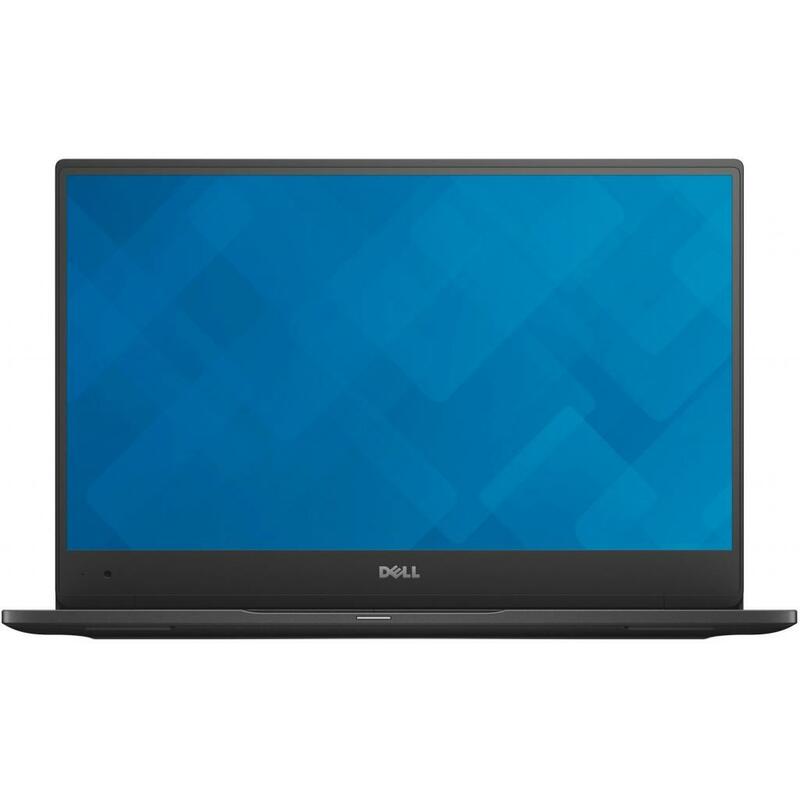 N020L748014EMEA_D Ноутбук Dell Latitude 7480 (N020L748014EMEA_D) 14', FullHD (1920 х 1080), Intel Core i7-7600U (2.80-3.90 GHz), 16 ГБ, отсутствует, 512 ГБ, Intel HD Graphics 620, No ODD, Bluetooth, Wi-Fi, LAN (RJ-45), DOS, 1.5 кг, Black 12 мес. 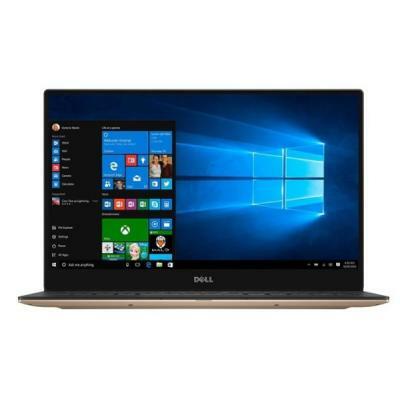 X578S2NDW-63S Ноутбук Dell XPS 15 (9560) (X578S2NDW-63S) 15.6', FullHD (1920 х 1080), Intel Core i7-7700HQ (2.8 - 3.8 ГГц), 8 ГБ, отсутствует, 256 ГБ, NVIDIA GeForce GTX 1050, 4 ГБ, No ODD, Bluetooth, Wi-Fi, Windows 10 Home, 6 cell, 1.78 кг, Silver 12 мес. 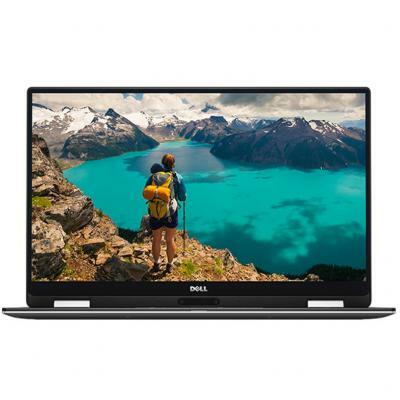 X3T78S2WG-418 Ноутбук Dell XPS 13 (9360) (X3T78S2WG-418) 13.3', QHD (3200x1800), Intel Core i7 8550U (1.8 - 4.0 ГГц), 8 ГБ, отсутствует, 256 ГБ, Intel UHD Graphics 620, No ODD, Bluetooth, Wi-Fi, Windows 10, 1.3 кг, Gold 12 мес. N999LE5470U14EMEA_win Ноутбук Dell Latitude E5470 (N999LE5470U14EMEA_win) 14', FullHD (1920 х 1080), TN+film, Intel Core i7 6820HQ (2.7 - 3.6 ГГц), 16 ГБ, отсутствует, 512 ГБ, Intel HD Graphics 530, No ODD, Bluetooth, Wi-Fi, LAN (RJ-45), W 8.1 Pro (64Bit) 12 мес. N096L558015_W10 Ноутбук Dell Latitude 5580 (N096L558015_W10) 15.6', FullHD (1920 х 1080), Intel Core i7-7820HQ (2.90-3.90 GHz), 16 ГБ, отсутствует, 512 ГБ, Intel HD Graphics 630, No ODD, Bluetooth, Wi-Fi, LAN (RJ-45), Windows 10 Pro, 4 cell, 1.9 кг, Black 12 мес. 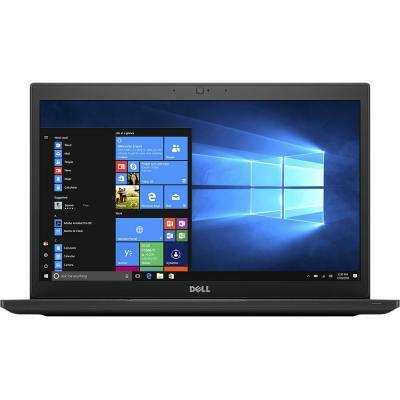 i757161S3DL-418 Ноутбук Dell Inspiron 7577 (i757161S3DL-418) 15.6', 4К (3840x2160), Intel Core i7-7700HQ (2.8 - 3.8 ГГц), 16 ГБ, 1 ТБ, 512 ГБ, NVIDIA Geforce GTX 1060, 6 ГБ, No ODD, Bluetooth, Wi-Fi, LAN (RJ-45), Linux, 4 cell, 2.65 кг, Black 12 мес. X358S2NIW-63S Ноутбук Dell XPS 13 (9370) (X358S2NIW-63S) 13.3', FullHD (1920 х 1080), Intel Core i5 8250U (1.6 - 3.4 ГГц), 8 ГБ, отсутствует, 256 ГБ, Intel UHD Graphics 620, No ODD, Bluetooth, Wi-Fi, Windows 10 Home 64bit Ukranian, 1.2 кг, Silver 12 мес. 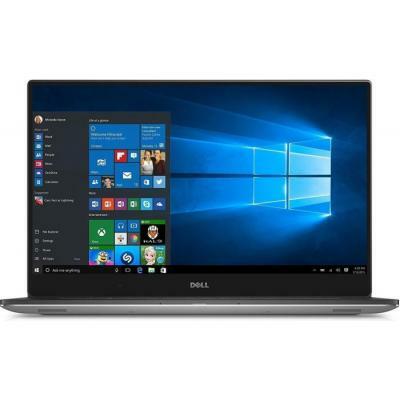 X3F78S2W-119 Ноутбук Dell XPS 13 (9370) (X3F78S2W-119) 13.3', FullHD (1920 х 1080), Intel Core i7 8550U (1.8 - 4.0 ГГц), 8 ГБ, отсутствует, 256 ГБ, Intel UHD Graphics 620, No ODD, Bluetooth, Wi-Fi, Windows 10, 1.2 кг, Silver 12 мес. X3T78S2W-418 Ноутбук Dell XPS 13 (9360) (X3T78S2W-418) 13.3', QHD (3200x1800), Intel Core i7 8550U (1.8 - 4.0 ГГц), 8 ГБ, отсутствует, 256 ГБ, Intel UHD Graphics 620, No ODD, Bluetooth, Wi-Fi, Windows 10 Home, 4 cell, 1.3 кг, Silver 12 мес. X578S2DW-418 Ноутбук Dell XPS 15 (X578S2DW-418) 15.6', FullHD (1920 х 1080), IPS, Intel Core i7-7700HQ (2.8 - 3.8 ГГц), 8 ГБ, отсутствует, 256 ГБ, NVIDIA GeForce GTX 1050, 4 ГБ, No ODD, Bluetooth, Wi-Fi, Windows 10, 3 cell, 1.8 кг, Silver 12 мес. N001LE727012EMEA_W10 Ноутбук Dell Latitude E7270 (N001LE727012EMEA_W10) 12.5', FullHD (1920 х 1080), TN+film, Intel Core i7-6600U (2.4GHz), 8 ГБ, отсутствует, 256 ГБ, Intel HD, No ODD, Wi-Fi, Gigabit Ethernet, W7Pro/W10P, 4 cell, 1.3 кг, Black 12 мес. 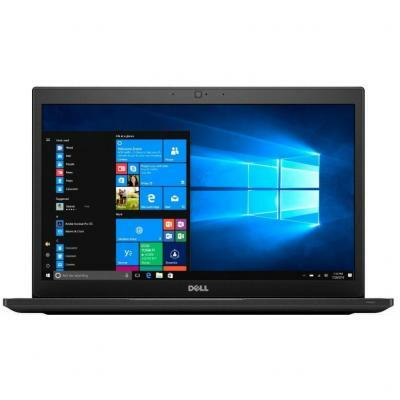 N011L748014_W10 Ноутбук Dell Latitude 7480 (N011L748014_W10) 14', FullHD (1920 х 1080), Intel Core i5-7300U (2.60Gz), 8 ГБ, отсутствует, 512 ГБ, Intel HD Graphics 620, No ODD, Bluetooth, Wi-Fi, LAN (RJ-45), Windows 10 Pro, 4 cell, 1.36 кг, Black 12 мес. N019L728012_DOS Ноутбук Dell Latitude 7280 (N019L728012_DOS) 12.5', FullHD (1920 х 1080), Intel Core i7-7600U (2.80-3.90 GHz), 16 ГБ, отсутствует, 256 ГБ, Intel HD Graphics 620, No ODD, Bluetooth, Wi-Fi, LAN (RJ-45), DOS, 4 cell, 1.2 кг, Black 12 мес. N099L548014_W10 Ноутбук Dell Latitude 5480 (N099L548014_W10) 14', FullHD (1920 х 1080), Intel Core i7-7820HQ (2.90-3.90 GHz), 16 ГБ, отсутствует, 512 ГБ, Intel HD Graphics 620, No ODD, Bluetooth, Wi-Fi, LAN (RJ-45), Windows 10 Pro 64bit, 4 cell, 1.6 кг, B 12 мес. X3F58S2W-119 Ноутбук Dell XPS 13 (9370) (X3F58S2W-119) 13.3', FullHD (1920 х 1080), Intel Core i5 8250U (1.6 - 3.4 ГГц), 8 ГБ, отсутствует, 256 ГБ, Intel UHD Graphics 620, No ODD, Bluetooth, Wi-Fi, Windows 10, 1.2 кг, Silver 12 мес. 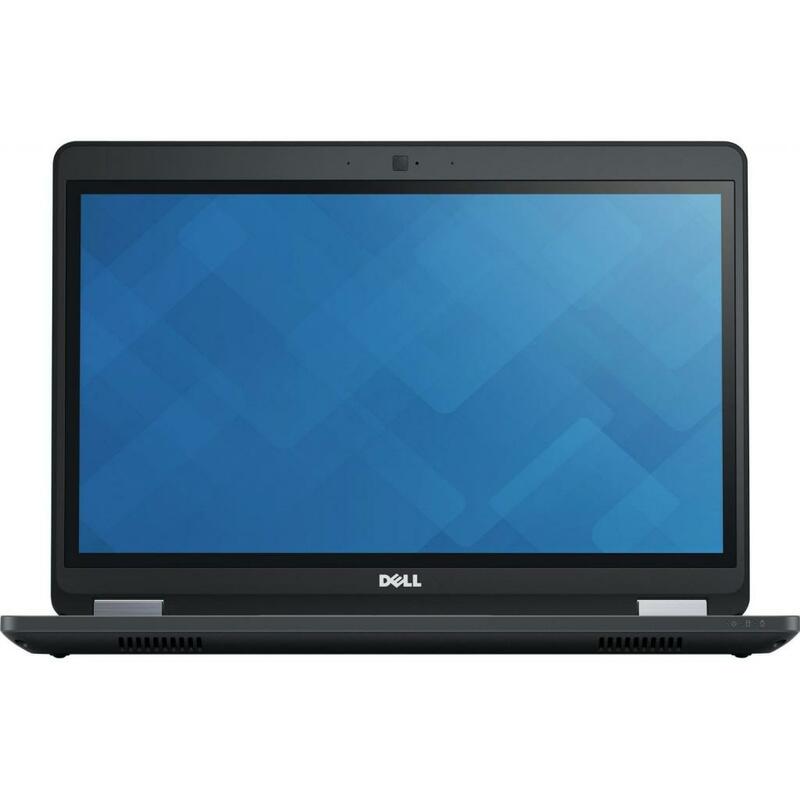 N021L728012EMEA-08 Ноутбук Dell Latitude 7280 (N021L728012EMEA-08) 12.5', FullHD (1920 х 1080), Intel Core i7-7600U (2.80-3.90 GHz), 8 ГБ, отсутствует, 256 ГБ, Intel HD Graphics 620, No ODD, Bluetooth, Wi-Fi, Gigabit Ethernet, Windows 10 Pro, 4 cell, 1.2 12 мес. N004LE747014EMEA_ubu Ноутбук Dell Latitude E7470 (N004LE747014EMEA_ubu) 14', WQHD (2560x1440), TN+film, Intel Core i7-6600U (2.4GHz), 8 ГБ, отсутствует, 256 ГБ, Intel HD Graphics 520, No ODD, Bluetooth, Wi-Fi, LAN (RJ-45), Linux, 4 cell, 1.4 кг, Black 12 мес. 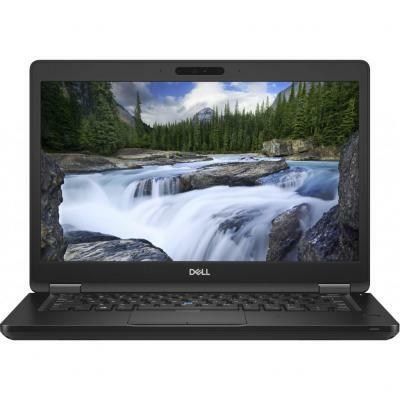 N015LE727012EMEA_UBU Ноутбук Dell Latitude E7270 (N015LE727012EMEA_UBU) 12.5', FullHD (1920 х 1080), Intel Core i7-6600U (2.4GHz), 8 ГБ, отсутствует, 256 ГБ, Intel HD Graphics 520, No ODD, Bluetooth, Wi-Fi, LAN (RJ-45), Linux, 4 cell, 1.3 кг, Black 12 мес. 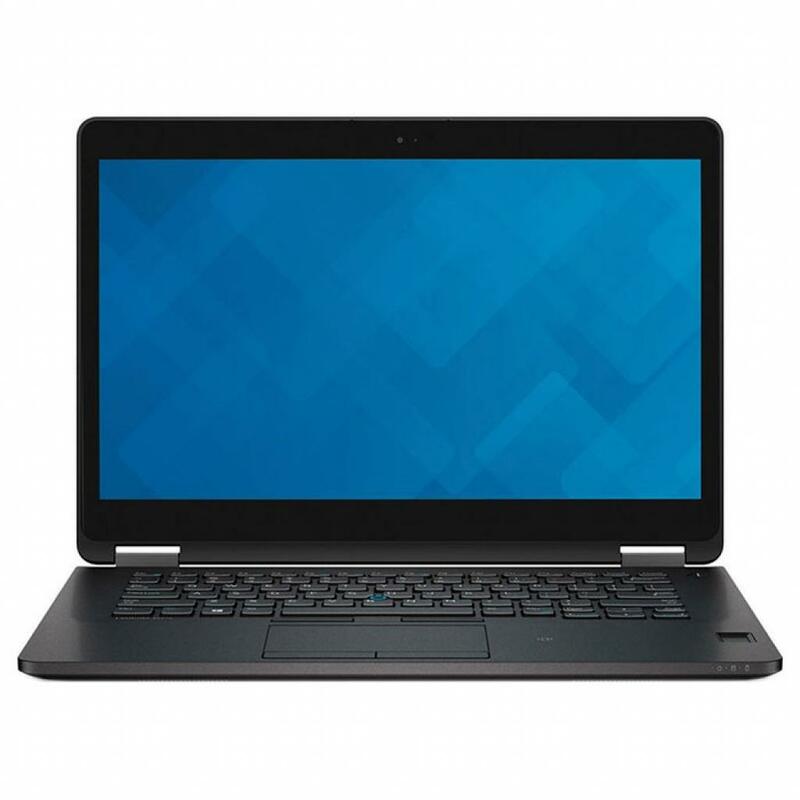 N04L528912_W10 Ноутбук Dell Latitude 5289 (N04L528912_W10) 12.5', FullHD (1920 х 1080), Intel Core i5 7200U (2.5-3.1 ГГц), 8 ГБ, отсутствует, 256 ГБ, Intel HD Graphics 620, No ODD, Bluetooth, NFC, Wi-Fi, Windows 10 Pro 64bit Russian, 3 cell, 1.35 кг, Blac 12 мес. X358S1NIW-64 Ноутбук Dell XPS 13 (9365) (X358S1NIW-64) 13.3', FullHD (1920 х 1080), Intel Core i5-7Y54 (1.2 - 3.2 ГГц), 8 ГБ, отсутствует, 256 ГБ, Intel HD Graphics, No ODD, Bluetooth, Wi-Fi, Windows 10 Home Single Language (64Bit) Ukranian, 4 cell, 1.2 к 12 мес. 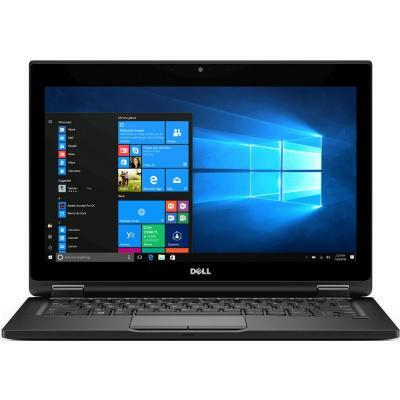 N05L528912_W10 Ноутбук Dell Latitude 5289 (N05L528912_W10) 12.5', FullHD (1920 х 1080), Intel Core i5 7200U (2.5-3.1 ГГц), 8 ГБ, отсутствует, 512 ГБ, Intel HD Graphics 620, No ODD, Bluetooth, NFC, Wi-Fi, Windows 10 Pro, 3 cell, 1.3 кг, Black 12 мес. 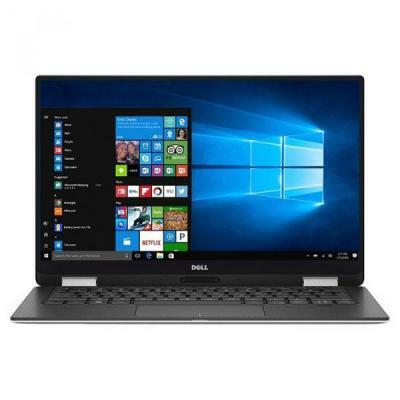 I757161S2DW-418 Ноутбук Dell Inspiron 7577 (I757161S2DW-418) 15.6', FullHD (1920 х 1080), IPS, Intel Core i7-7700HQ (2.8 - 3.8 ГГц), 16 ГБ, 1 ТБ, 256 ГБ, NVIDIA Geforce GTX 1060, 6 ГБ, No ODD, Bluetooth, Wi-Fi, Windows 10 Home-HE 64bit Ukrainian, 4 cell, 12 мес. N001LE727012EMEA_ubu Ноутбук Dell Latitude E7270 (N001LE727012EMEA_ubu) 12.5', FullHD (1920 х 1080), TN+film, Intel Core i7-6600U (2.4GHz), 8 ГБ, отсутствует, 256 ГБ, Intel HD Graphics 520, No ODD, Bluetooth, Wi-Fi, LAN (RJ-45), Linux, 4 cell, 1.3 кг, Bla 12 мес. X378S2NIW-60R Ноутбук Dell XPS 13 (X378S2NIW-60R) 13.3', QHD (3200x1800), Intel Core i7-7500U (2.7-3.5GHz), 8 ГБ, отсутствует, 256 ГБ, Intel HD Graphics 620, No ODD, Bluetooth, Wi-Fi, Windows 10 Home-HE 64bit Ukrainian, 4 cell, 1.2 кг, Rose Gold 12 мес. N002L737013EMEA_WIN Ноутбук Dell Latitude E7370 (N002L737013EMEA_WIN) 13.3', FullHD (1920 х 1080), TN+film, Intel Core M 6Y75 (1.2-3.1 ГГц), 8 ГБ, отсутствует, 256 ГБ, Intel HD, No ODD, Bluetooth, Wi-Fi, W7Pro/W10P, 4 cell, 1.1 кг, Black 12 мес. 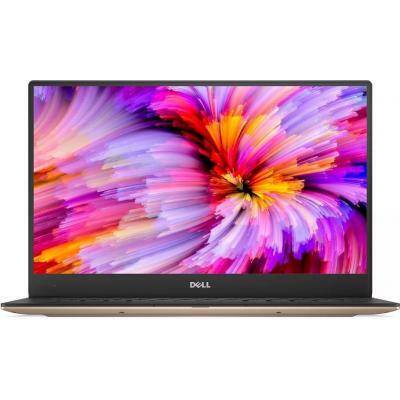 93Fi58S2IHD-WSL Ноутбук Dell XPS 13 (93Fi58S2IHD-WSL) 13.3', FullHD (1920 х 1080), Intel Core i5-7Y54 (1.2 - 3.2 ГГц), 8 ГБ, отсутствует, 256 ГБ, Intel HD Graphics, No ODD, Bluetooth, Wi-Fi, Windows 10, 4 cell, 1.25 кг, Silver 12 мес. N092L549014_W10 Ноутбук Dell Latitude 5490 (N092L549014_W10) 14', FullHD (1920 х 1080), IPS, Intel Core i7 8650U (до 4.2 ГГц), 8 ГБ, отсутствует, 256 ГБ, Intel UHD Graphics 620, No ODD, Bluetooth, Wi-Fi, LAN (RJ-45), Windows 10 Pro 64bit Russian, 4 cell, 12 мес. 210-AENU-CT16-06 Ноутбук Dell Latitude E5570 (210-AENU-CT16-06) 15.6', FullHD (1920 х 1080), Intel Core i7-6600U (2.4GHz), 16 ГБ, отсутствует, 256 ГБ, AMD Radeon R7 M360, 2 ГБ, No ODD, Bluetooth, Wi-Fi, LAN (RJ-45), Windows 10 Pro 64bit English, 4 cell, 2 12 мес. 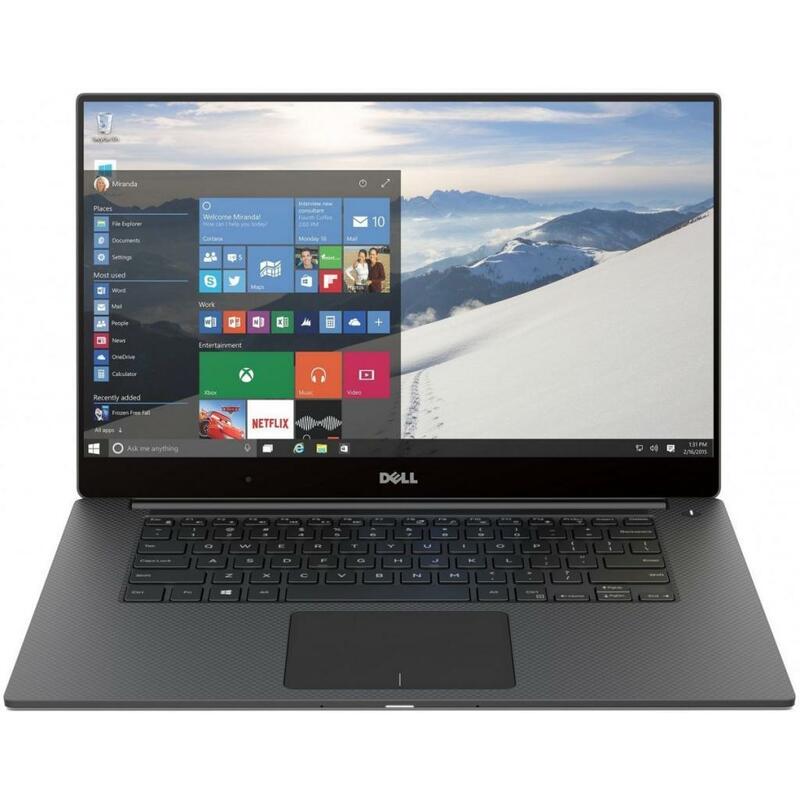 X378S2W-418 Ноутбук Dell XPS 13 (9360) (X378S2W-418) 13.3', FullHD (1920 х 1080), Intel Core i7 8550U (1.8 - 4.0 ГГц), 8 ГБ, отсутствует, 256 ГБ, Intel UHD Graphics 620, No ODD, Bluetooth, Wi-Fi, Windows 10 Home, 4 cell, 1.3 кг, Silver 12 мес. X378S1NIW-63S Ноутбук Dell XPS 13 (X378S1NIW-63S) 13.3', QHD (3200x1800), Intel Core i7-7500U (2.7-3.5GHz), 8 ГБ, отсутствует, 256 ГБ, Intel HD Graphics 620, No ODD, Bluetooth, Wi-Fi, Windows 10 Home-HE 64bit Ukrainian, 4 cell, 1.2 кг, Silver 12 мес. N002L738013_W10 Ноутбук Dell Latitude 7380 (N002L738013_W10) 13.3', FullHD (1920 х 1080), Intel Core i5-7300U (2.60Gz), 8 ГБ, отсутствует, 256 ГБ, Intel HD Graphics 620, No ODD, Bluetooth, Wi-Fi, LAN (RJ-45), Windows 10 Pro 64bit Russian, 4 cell, 1.2 кг, 12 мес. 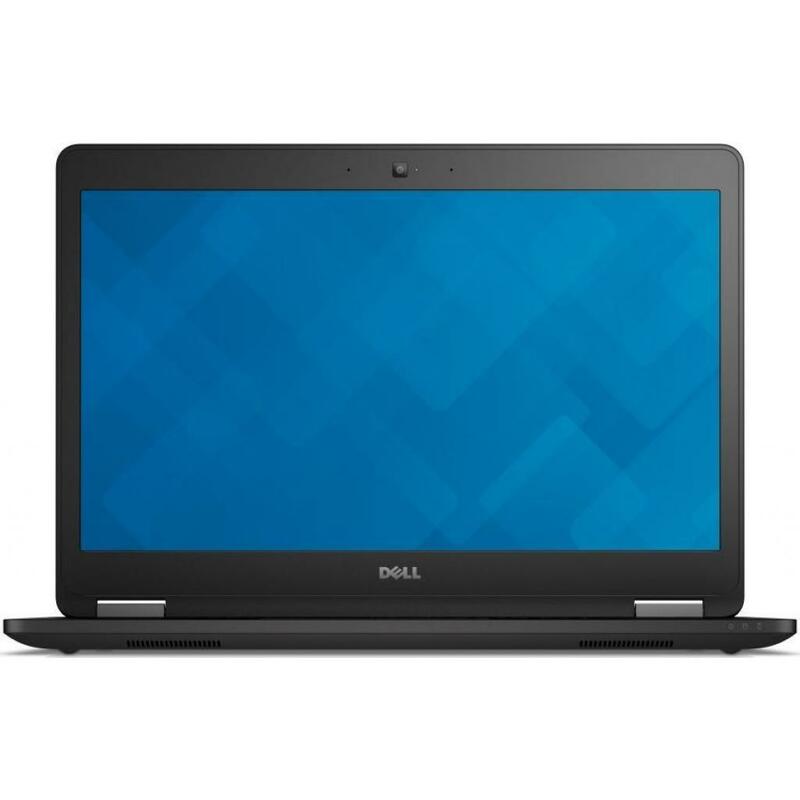 N001LE747014EMEA_W10 Ноутбук Dell Latitude E7470 (N001LE747014EMEA_W10) 14', FullHD (1920 х 1080), Intel Core i5-6300U (2.4 - 3.0 ГГц), 8 ГБ, отсутствует, 256 ГБ, Intel HD Graphics 520, No ODD, Bluetooth, Wi-Fi, LAN (RJ-45), Windows 10 Pro 64bit, 4 cell, 12 мес. N007L748014_DOS Ноутбук Dell Latitude 7480 (N007L748014_DOS) 14', FullHD (1920 х 1080), Intel Core i5-7300U (2.60Gz), 8 ГБ, отсутствует, 256 ГБ, Intel HD Graphics 620, No ODD, Bluetooth, Wi-Fi, LAN (RJ-45), DOS, 4 cell, 1.36 кг, Black 12 мес. N029LE547014EMEA_W10 Ноутбук Dell Latitude E5470 (N029LE547014EMEA_W10) 14', FullHD (1920 х 1080), Intel Core i7 6820HQ (2.7 - 3.6 ГГц), 8 ГБ, отсутствует, 256 ГБ, Intel HD, No ODD, Bluetooth, Wi-Fi, Gigabit Ethernet, Windows 10 Pro, 4 cell, 1.8 кг, Black 12 мес. 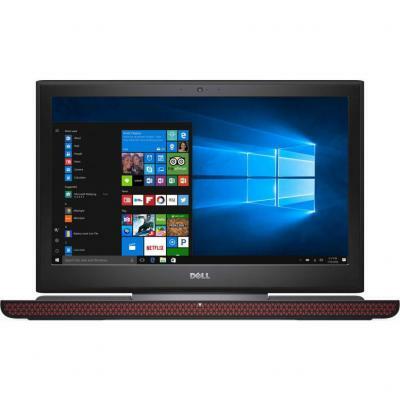 I75516S3NDW-60B Ноутбук Dell Inspiron 7567 (I75516S3NDW-60B) 15.6', 4К (3840x2160), IPS, Intel Core i7-7700HQ (2.8 - 3.8 ГГц), 16 ГБ, отсутствует, 512 ГБ, NVIDIA GeForce GTX 1050 Ti, 4 ГБ, No ODD, Bluetooth, Wi-Fi, LAN (RJ-45), Windows 10 Home-HE 64bit Uk 12 мес. N099L548014_UBU Ноутбук Dell Latitude 5480 (N099L548014_UBU) 14', FullHD (1920 х 1080), Intel Core i7-7820HQ (2.90-3.90 GHz), 16 ГБ, отсутствует, 512 ГБ, Intel HD Graphics 620, No ODD, Bluetooth, Wi-Fi, LAN (RJ-45), Linux, 4 cell, 1.6 кг, Black 12 мес. 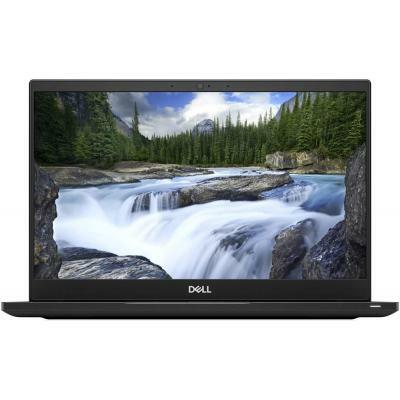 X378S1NIW-50S Ноутбук Dell XPS 9360 (X378S1NIW-50S) 13.3', FullHD (1920 х 1080), TN+film, Intel Core i7-7500U (2.7-3.5GHz), 8 ГБ, отсутствует, 256 ГБ, Intel HD Graphics 620, No ODD, Bluetooth, Wi-Fi, Windows 10 Home, 1.2 кг, Silver 12 мес. N097L558015_W10 Ноутбук Dell Latitude 5580 (N097L558015_W10) 15.6', FullHD (1920 х 1080), Intel Core i5-7300HQ (2.5-3.5GHz), 16 ГБ, отсутствует, 512 ГБ, Intel HD Graphics 630, No ODD, Bluetooth, Wi-Fi, LAN (RJ-45), Windows 10 Pro, 4 cell, 1.9 кг, Black 12 мес. 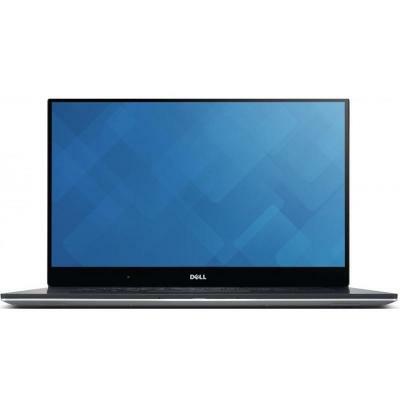 X358S2WG-418 Ноутбук Dell XPS 13 (9360) (X358S2WG-418) 13.3', FullHD (1920 х 1080), Intel Core i5 8250U (1.6 - 3.4 ГГц), 8 ГБ, отсутствует, 256 ГБ, Intel UHD Graphics 620, No ODD, Bluetooth, Wi-Fi, Windows 10, 1.3 кг, Gold 12 мес. 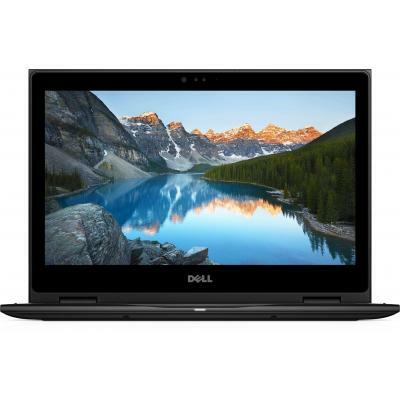 X358S2W-418 Ноутбук Dell XPS 13 (9360) (X358S2W-418) 13.3', FullHD (1920 х 1080), Intel Core i5 8250U (1.6 - 3.4 ГГц), 8 ГБ, отсутствует, 256 ГБ, Intel UHD Graphics 620, No ODD, Bluetooth, Wi-Fi, Windows 10 Home, 4 cell, 1.3 кг, Silver 12 мес. 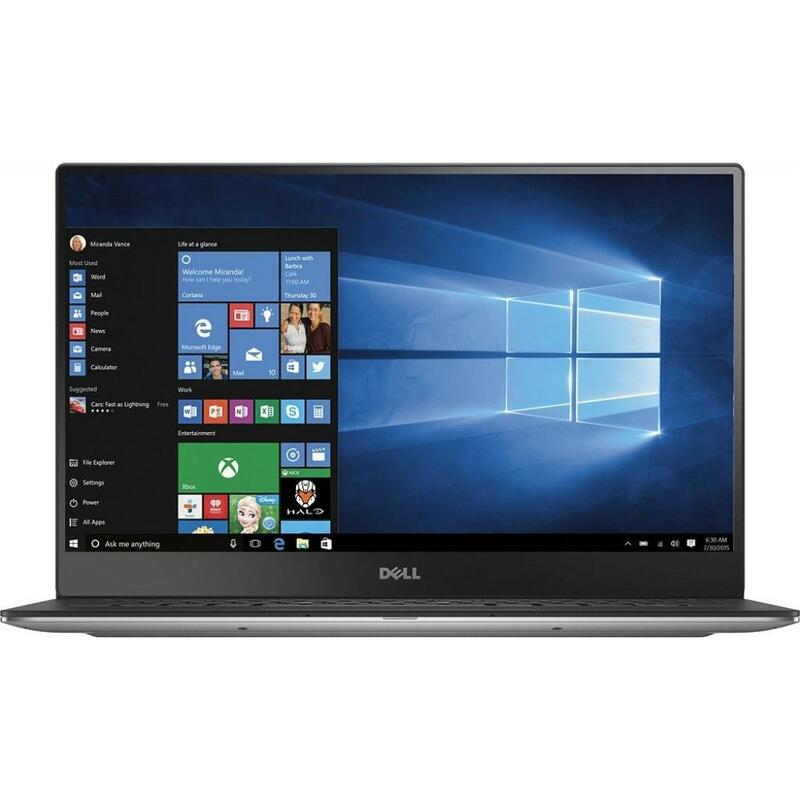 X378S1NIW-60S Ноутбук Dell XPS 13 (X378S1NIW-60S) 13.3', FullHD (1920 х 1080), Intel Core i7-7500U (2.7-3.5GHz), 8 ГБ, отсутствует, 256 ГБ, Intel HD, No ODD, Bluetooth, Wi-Fi, Windows 10 Home-HE 64bit Ukrainian, 4 cell, 1.2 кг, Silver 12 мес. 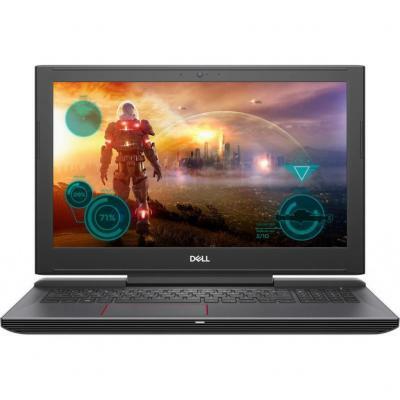 I757161S2DL-418 Ноутбук Dell Inspiron 7577 (I757161S2DL-418) 15.6', FullHD (1920 х 1080), IPS, Intel Core i7-7700HQ (2.8 - 3.8 ГГц), 16 ГБ, 1 ТБ, 256 ГБ, NVIDIA Geforce GTX 1060, 6 ГБ, No ODD, Bluetooth, Wi-Fi, LAN (RJ-45), Linux, 4 cell, 2.85 кг, Black 12 мес. N001LE747014EMEA_ubu Ноутбук Dell Latitude E7470 (N001LE747014EMEA_ubu) 14', FullHD (1920 х 1080), TN+film, Intel Core i5-6300U (2.4 - 3.0 ГГц), 8 ГБ, отсутствует, 256 ГБ, Intel HD Graphics 520, No ODD, Bluetooth, Wi-Fi, LAN (RJ-45), Linux, 4 cell, 1.4 кг 12 мес. 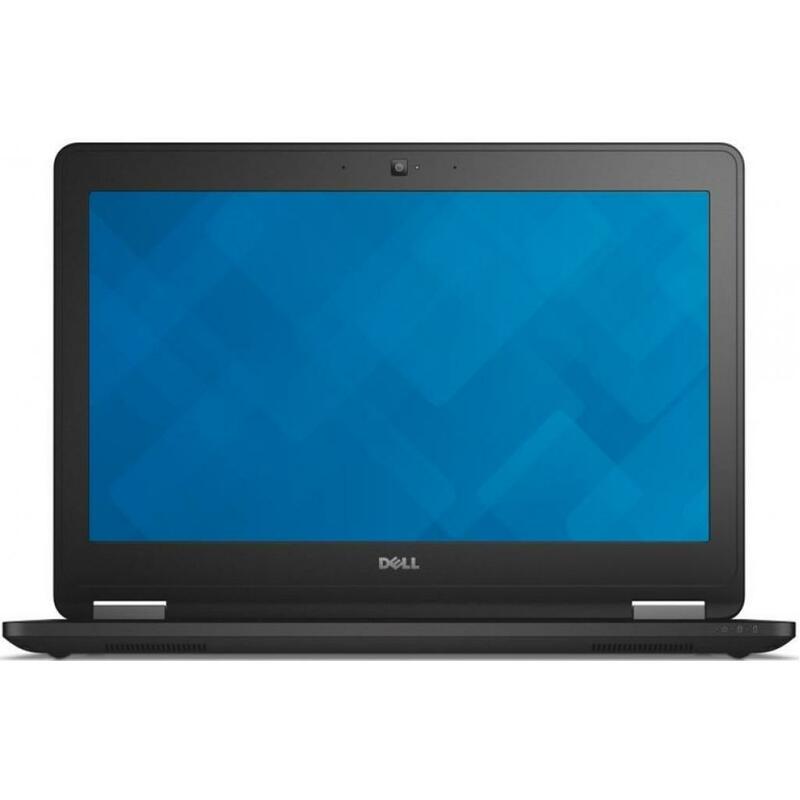 N094L548014_W10 Ноутбук Dell Latitude 5480 (N094L548014_W10) 14', FullHD (1920 х 1080), Intel Core i5 7200U (2.5-3.1 ГГц), 16 ГБ, отсутствует, 512 ГБ, Intel HD Graphics 620, No ODD, Bluetooth, Wi-Fi, Windows 10 Pro, 4 cell, 1.6 кг, Black 12 мес. 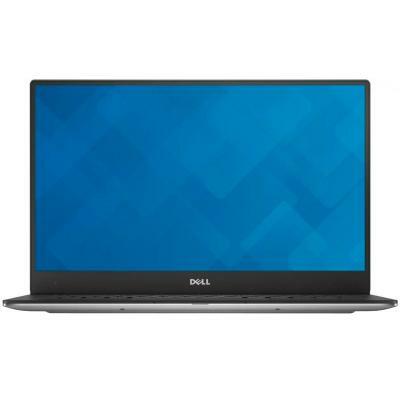 I75516S3NDL-60B Ноутбук Dell Inspiron 7567 (I75516S3NDL-60B) 15.6', 4К (3840x2160), IPS, Intel Core i7-7700HQ (2.8 - 3.8 ГГц), 16 ГБ, отсутствует, 512 ГБ, NVIDIA GeForce GTX 1050 Ti, 4 ГБ, No ODD, Bluetooth, Wi-Fi, LAN (RJ-45), Linux, 4 cell, 2.6 кг, Blac 12 мес. N092L549014_UBU Ноутбук Dell Latitude 5490 (N092L549014_UBU) 14', FullHD (1920 х 1080), IPS, Intel Core i7 8650U (до 4.2 ГГц), 8 ГБ, отсутствует, 256 ГБ, Intel UHD Graphics 620, н.д., Bluetooth, Wi-Fi, LAN (RJ-45), Linux, 4 cell, 1.6 кг, Black 12 мес. N035L558015EMEA_W10 Ноутбук Dell Latitude E5580 (N035L558015EMEA_W10) 15.6', FullHD (1920 х 1080), Intel Core i7-7600U (2.80-3.90 GHz), 8 ГБ, отсутствует, 256 ГБ, Intel HD Graphics 620, No ODD, Bluetooth, Wi-Fi, LAN (RJ-45), Windows 10 Pro 64bit, 3 cell, 12 мес. N007L728012EMEA-08 Ноутбук Dell Latitude 7280 (N007L728012EMEA-08) 12.5', FullHD (1920 х 1080), Intel Core i5-7300U (2.60Gz), 8 ГБ, отсутствует, 256 ГБ, Intel HD Graphics 620, No ODD, Bluetooth, Wi-Fi, Gigabit Ethernet, Windows 10 Pro, 4 cell, 1.2 кг, Bla 12 мес. 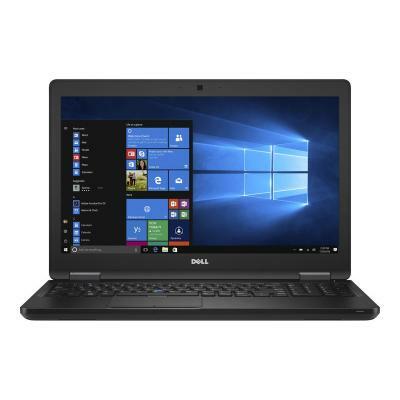 N073L549014_W10 Ноутбук Dell Latitude 5490 (N073L549014_W10) 14', FullHD (1920 х 1080), Intel Core i5-7300U (2.60Gz), 8 ГБ, отсутствует, 512 ГБ, Intel HD Graphics 620, No ODD, Bluetooth, Wi-Fi, LAN (RJ-45), Windows 10 Pro 64bit Russian, 4 cell, 1.6 кг, Bl 12 мес. N034L558015EMEA_W10 Ноутбук Dell Latitude E5580 (N034L558015EMEA_W10) 15.6', FullHD (1920 х 1080), Intel Core i5-7300U (2.60Gz), 16 ГБ, отсутствует, 512 ГБ, Intel HD Graphics 620, No ODD, Bluetooth, Wi-Fi, LAN (RJ-45), Windows 10 Pro 64bit Russian, 3 cell 12 мес. X358S1NIW-50S Ноутбук Dell XPS 9360 (X358S1NIW-50S) 13.3', FullHD (1920 х 1080), TN+film, Intel Core i5 7200U (2.5-3.1 ГГц), 8 ГБ, отсутствует, 256 ГБ, Intel HD Graphics 620, No ODD, Bluetooth, Wi-Fi, Windows 10 Home, 1.2 кг, Silver 12 мес. X378S1NIL-60S Ноутбук Dell XPS 13 (X378S1NIL-60S) 13.3', FullHD (1920 х 1080), Intel Core i7-7500U (2.7-3.5GHz), 8 ГБ, отсутствует, 256 ГБ, Intel HD, No ODD, Bluetooth, Wi-Fi, Linux, 4 cell, 1.2 кг, Silver 12 мес. I757161S1DW-418 Ноутбук Dell Inspiron 7577 (I757161S1DW-418) 15.6', FullHD (1920 х 1080), IPS, Intel Core i7-7700HQ (2.8 - 3.8 ГГц), 16 ГБ, 1 ТБ, 128 ГБ, NVIDIA GeForce GTX 1050 Ti, 4 ГБ, No ODD, Bluetooth, Wi-Fi, LAN (RJ-45), Windows 10 Home-HE 64bit Ukr 12 мес. 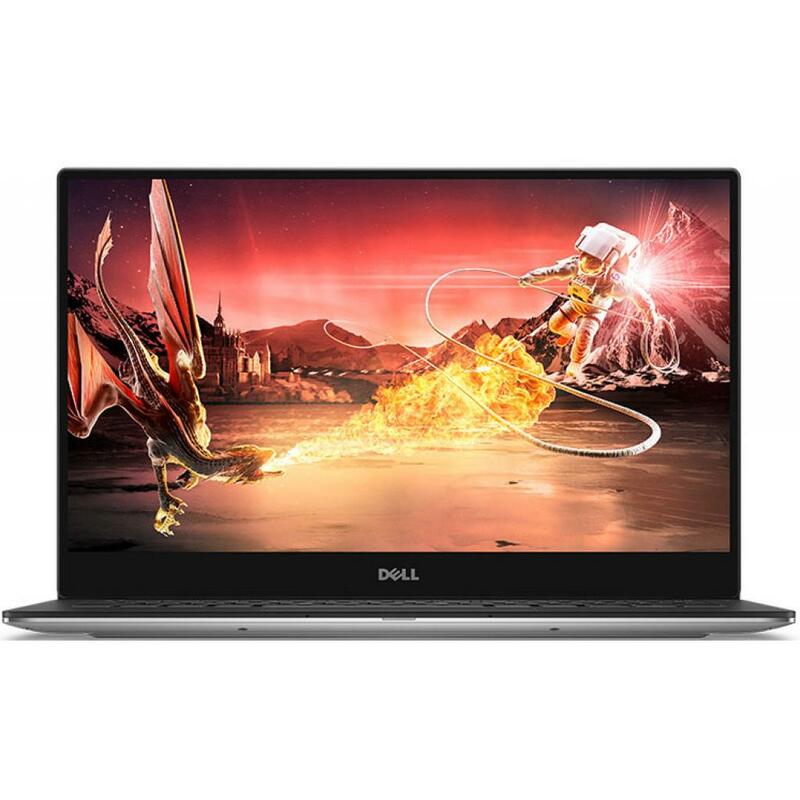 X358S1NIW-60S Ноутбук Dell XPS 13 (X358S1NIW-60S) 13.3', FullHD (1920 х 1080), Intel Core i5 7200U (2.5-3.1 ГГц), 8 ГБ, отсутствует, 256 ГБ, Intel HD, No ODD, Bluetooth, Wi-Fi, Windows 10 Home-HE 64bit Ukrainian, 4 cell, 1.2 кг, Silver 12 мес. N049L548014_W10 Ноутбук Dell Latitude 5480 (N049L548014_W10) 14', FullHD (1920 х 1080), Intel Core i7-7600U (2.80-3.90 GHz), 8 ГБ, отсутствует, 256 ГБ, Intel HD Graphics 620, No ODD, Bluetooth, Wi-Fi, LAN (RJ-45), Windows 10, 4 cell, 1.6 кг, Black 12 мес. 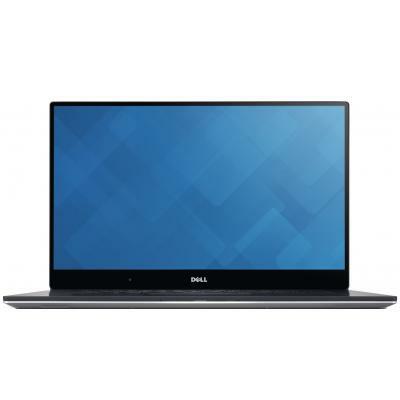 N049L548014EMEA-08 Ноутбук Dell Latitude 5480 (N049L548014EMEA-08) 14', FullHD (1920 х 1080), Intel Core i7-7600U (2.80-3.90 GHz), 8 ГБ, отсутствует, 256 ГБ, Intel HD Graphics 620, No ODD, Bluetooth, Wi-Fi, Gigabit Ethernet, Windows 10 Pro, 4 cell, 1.6 кг 12 мес. N024L728012_DOS Ноутбук Dell Latitude 7280 (N024L728012_DOS) 12.5', FullHD (1920 х 1080), Intel Core i5 7200U (2.5-3.1 ГГц), 8 ГБ, отсутствует, 256 ГБ, Intel HD Graphics 620, No ODD, Bluetooth, Wi-Fi, LAN (RJ-45), DOS, 4 cell, 1.2 кг, Black 12 мес. N099L558015_W10 Ноутбук Dell Latitude 5580 (N099L558015_W10) 15.6', FullHD (1920 х 1080), Intel Core i5 7200U (2.5-3.1 ГГц), 16 ГБ, отсутствует, 256 ГБ, Intel HD Graphics 620, No ODD, Bluetooth, Wi-Fi, LAN (RJ-45), Windows 10 Pro, 4 cell, 1.9 кг, Black 12 мес. 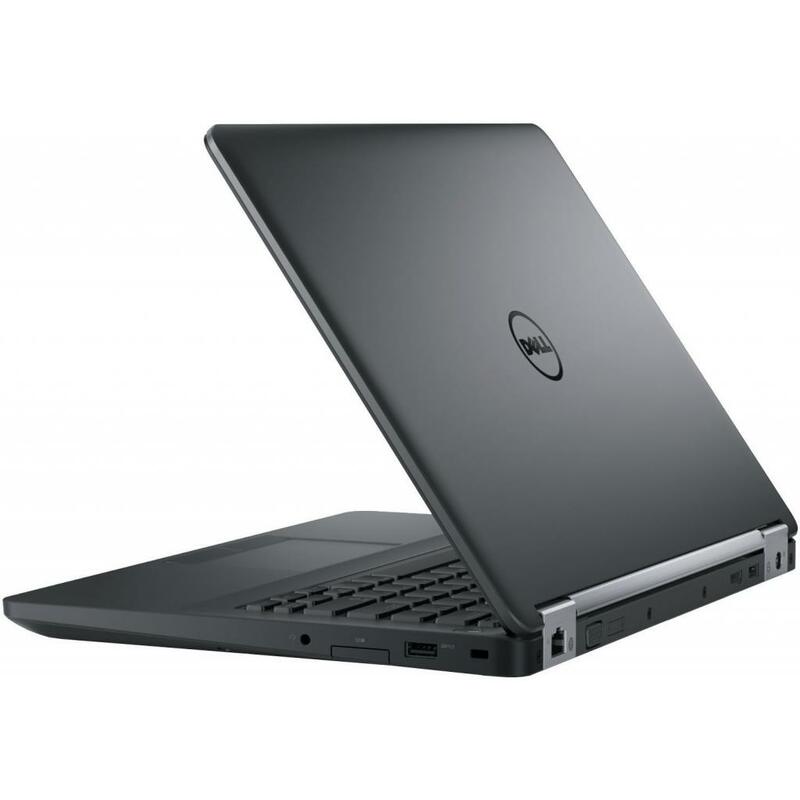 N004L339013_W10 Ноутбук Dell Latitude 3390 (N004L339013_W10) 13.3', FullHD (1920 х 1080), Intel Core i5 8250U (1.6 - 3.4 ГГц), 8 ГБ, отсутствует, 256 ГБ, Intel UHD Graphics 620, No ODD, Bluetooth, Wi-Fi, Windows 10 Pro 64bit Russian, 1.6 кг, Black 12 мес. 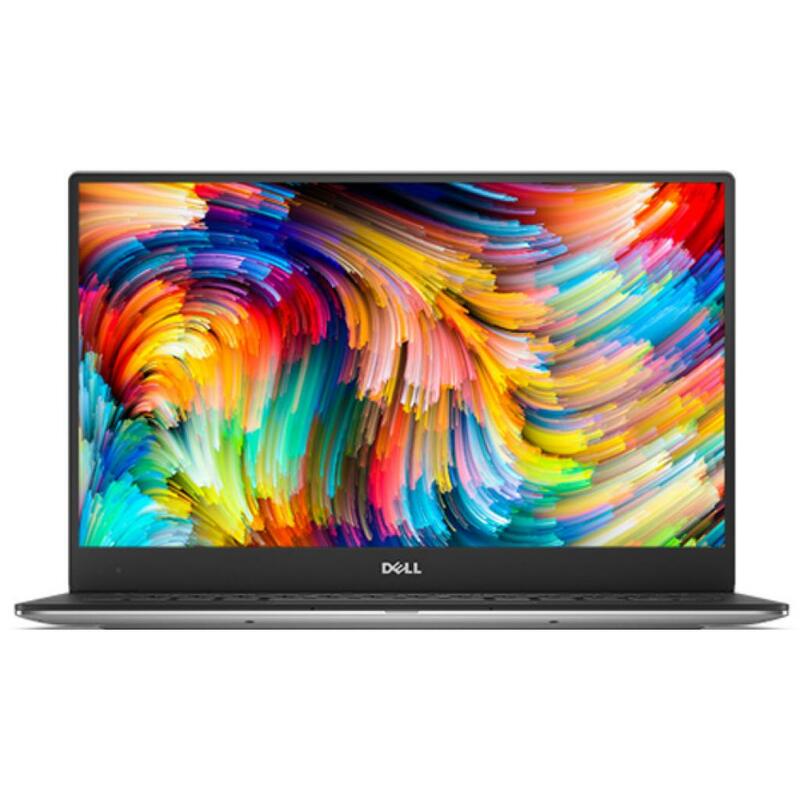 X358S1NIL-60S Ноутбук Dell XPS 13 (X358S1NIL-60S) 13.3', FullHD (1920 х 1080), Intel Core i5 7200U (2.5-3.1 ГГц), 8 ГБ, отсутствует, 256 ГБ, Intel HD, No ODD, Bluetooth, Wi-Fi, Linux, 4 cell, 1.2 кг, Silver 12 мес. N049L548014EMEA_P Ноутбук Dell Latitude 5480 (N049L548014EMEA_P) 14', FullHD (1920 х 1080), Intel Core i7-7600U (2.80-3.90 GHz), 8 ГБ, отсутствует, 256 ГБ, Intel HD Graphics 620, No ODD, Bluetooth, Wi-Fi, LAN (RJ-45), Windows 10 Pro, 4 cell, 1.6 кг, Black 12 мес. N015L737013EMEA_WIN Ноутбук Dell Latitude E7370 (N015L737013EMEA_WIN) 13.3', FullHD (1920 х 1080), TN+film, Intel Core M 6Y57 (1.1-2.8 ГГц), 8 ГБ, отсутствует, 256 ГБ, Intel HD, No ODD, Bluetooth, Wi-Fi, W7Pro/W10P, 4 cell, 1.1 кг, Black 12 мес.